As promised in our last round-up we bring you news of Osteria dell’Arancio in the Kings Road and Season on the Fifth Floor at Harvey Nichols along with four more great club inclusions! Osteria is the Italian’s Italian and the perfect neighbourhood restaurant. 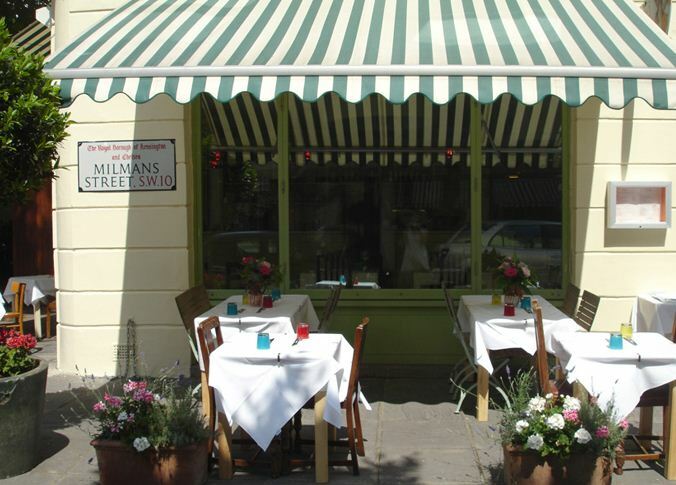 Tucked away just on a corner of Kings Road (pretty much opposite the natty Vivienne Westwood shop on a quiet side road) is this great boho restaurant serving consistently high quality authentic Italian cuisine. Set over two floors it is cosy, colourful, full of personality and hugely welcoming. 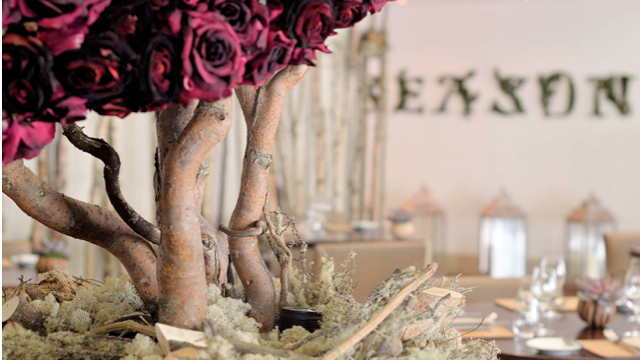 It has an extensive local following who love the team (family), food and its wine list. Club Offer: Members enjoy a 15% reduction from the total bill for Lunch Tuesday to Friday and Dinner Monday to Friday. Perched atop Harvey Nichols’ flagship store in Knightsbridge, Season is a marvel of relaxed and intimate dining within seasonally inspired surroundings. Choose from the delicious and varied à la carte menu, enjoy the ever-changing seasonally inspired daily menu or feast on the modern take on the traditional afternoon tea. The welcoming interior reflects the fashion trends of the season and is a lovely, stylish setting for catching up with friends. An award-winning wine list offers careful selections from around the globe and the adjoining Fifth Floor Bar offers a mesmerising menu of cocktails and Champagnes. Club Offer: Member dines complimentary when dining from the A la Carte menu with one more guests for Lunch and Dinner Monday to Friday. 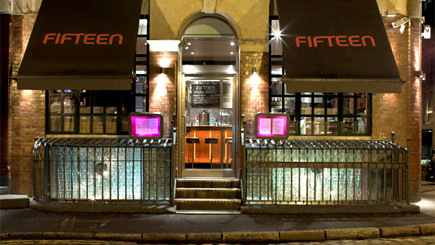 Fifteen‘s philosophy is to cook elegant, rustic, clean, honest food that flicks your senses from classic, nostalgic flavours to new, inspired dishes from super-skilled young minds. With the kitchen led by Jamie Oliver’s good friend Jon Rotheram, this is modern British cooking at its best. Using incredible British produce, whole animals and fish are butchered and prepared on site every day, and paired with ingredients so good they really speak for themselves. As well as a stunning split-level restaurant, the beautiful bar celebrates brilliantly selected wines alongside craft beers and ciders, and serves a wide range of exquisite seasonal cocktails with a real emphasis on British heritage. Club Offer: Members and their guests receive a complimentary glass of Prosecco for Lunch Monday to Sunday and dinner Sunday to Thursday. 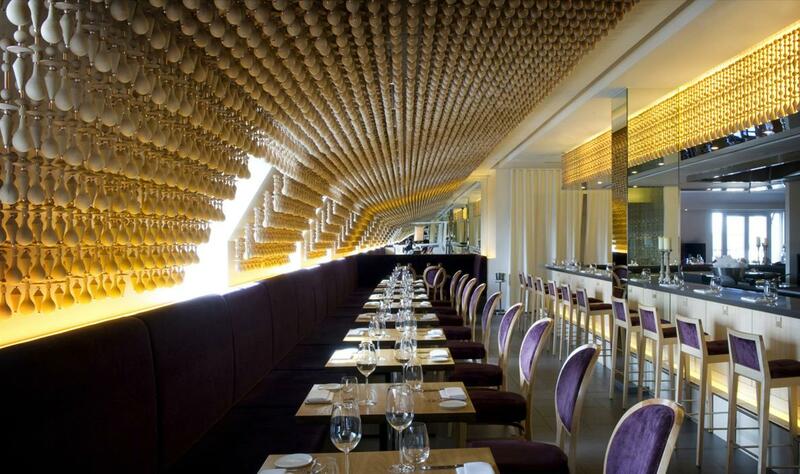 Set high above the bustle of Regents Street on the fifth floor of the famous former Dickins & Jones building, Aqua Nueva is one of the capital’s most unique and exciting dining destinations serving Spanish cuisine at its finest. Chef Alberto Hernandez presents a modern take on traditional northern Spanish cuisine, reinterpreting classic dishes in exciting new ways. A dedicated Cava Bar is also available where guests can order from a menu of delicious tapas while enjoying a glass of cava from an extensive wine list. Aqua Nueva itself is an eye catching designer haven, with a Pamplona bull that seems to charge at you along the sultry-lit corridor, fabulous views over the capital from the outdoor terraces, and a stunning interior in luxurious gold’s and pure whites. Club Offer: Member and guests receive a complimentary glass of Cava when dining from the A la Carte menu for Lunch and Dinner Monday to Thursday. Head Chef Paul Greening presents innovative and contemporary Japanese cuisine with an extensive menu of beautifully-presented sushi and sashimi and creative hot dishes. A central sushi bar and open sumibiyaki charcoal grill combine with sleep black and red decor to create a sense of theatre in keeping with Aqua Kyoto’s location in the heart of the West End. The spectacular roof terrace looking down over Regent Street provides stunning views across the city. Club Offer: Member and guests receive a complimentary ‘Japanese Velvet Cocktail’ when dining from the A la Carte menu for Lunch and Dinner Monday to Thursday. The Dysart is a lovingly restored 1904 arts and craft country building frequented by cosmopolitan Richmondites. A family run restaurant which produces the finest ground breaking food, drinks, fantastic service and music. On that score its Chef, Kenneth Culhane, is a former winner of the prestigious Roux scholarship; interiors are stylish and comfortable where the emphasis has been on enhancing the original features and applying simple decoration and quality furnishings so the stunning building is exhibited. From the main rooms your view is Richmond Park and atmosphere is enhanced by live music on Thursday, Friday and Saturday evenings and the first Sunday of every month with classical or Jazz musicians. Club Offer: Member and guests receive a complimentary glass of Champagne when dining from the tasting menu for Lunch and Dinner Monday to Thursday. Not a member? Join today for just £90 and start saving on these and over 300 other fantastic restaurants. Simply go to www.designrestaurants.com or call 01276 850581 (normal office hours).